Google Says ‘Near Me’ Searches Have doubled This Year. 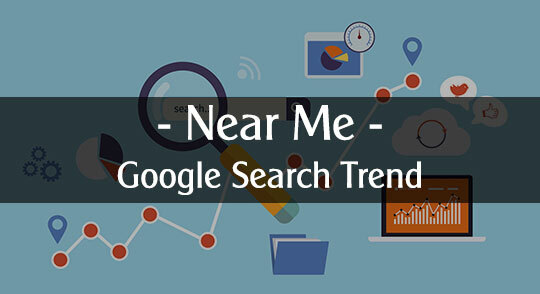 Google is stating that the search queries ‘nearby’ or ‘near me’ has doubled within the past year. Therefore, businesses that have already designed and implemented an effective mobile site can take advantage of this great traffic and excellent sales opportunities. It is also important to note that the ‘near me’ search query is broken down into more than one category. One of which includes a section that reports traffic that comes from mobile devices instead of desktop computers. So, more importantly, the ‘near me’ searches that google analytics have found can be tracked back to mobile device traffic that currently adds up to 80%. ‘Near Me’ or ‘Near Me Now’ searches are defined as searching for something local from your phone, and then being provided with a list of convenient options near your location to choose from. If you’ve checked out the SERP (search engine results page), you’ll see that the results are becoming more and more local. The ‘Near Me’ feature on finding restaurants, doctor’s offices, schools, hospitals- whatever one may be looking for- is something that we as consumers simply expect from Google, or Siri. People want convenience at their fingertips and want to find the information they are looking for quickly. ‘Near Me’ or ‘Near Me Now’ searches for local businesses have noticed a sharp rise in the past four years. If you look at Google Trends, this feature wasn’t used much at all before 2011. 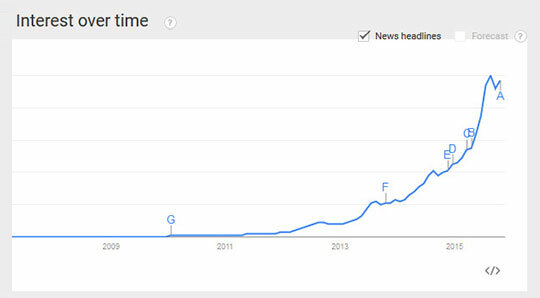 However, the past six years have seen a giant surge in ‘near me’ searches. If we want to send flowers or cookies to a significant other, we can search ‘Florist near me now’ and, it will pull up your choice of several local florists as well as several nationwide flower delivery services who specialize in local deliveries. The result of the ‘Near Me Now’ search has some consequences (which aren’t necessarily bad). With the world of any information a person needs literally ‘at their fingertips,’ we’ve become a society that needs things ‘now.’ There is no waiting for information, and no patience to wait for it. What’s incredible is that these searches like ‘doctors near me’ or ‘McDonald’s near me’ do not need a computer or laptop, they are simply done during ‘stolen moments’ during the day. We have become the ‘I need it now generation’ and most of the time we get frustrated if we don’t get the results we want immediately. It’s something we’ve grown to expect. Retail stores are capitalizing on ‘Near Me Now’ searches by luring potential clients into an actual store by advertising promotions when the search comes up. Local stores are aggressively continuing this practice in lieu of the rise of nearby searches. This means of course, what’s good and convenient for the customer is also profitable for local businesses. It’s a win-win situation, and ‘Near Me Now’ searches will only continue getting more precise. The continued and increasing use of the ‘Near Me Now’ app has tremendous potential for local businesses. People who use the app get local information fast, and most of the time make a decision on what Google suggests. Studies show that as many of 18% of people who do a search follow up with visiting the place they were searching for. Technology is constantly improving, and ‘Near Me Now’ searches contribute to an amazing spectrum of cutting edge technology which benefits the user and the community.